I love myself first by working to live my most authentic life. To me, this means being true to who I am and speaking my truth. I started coming out as queer (lesbian) right after I graduated from college. While a lot of my coming out journey has been loving and supportive, there have been definite bumps in the road. I’ve had to continuously remind myself that regardless of other people’s opinion, I am worthy of love, which starts with loving myself first. As I’ve continued to embrace and love all of who I am, my voice has gotten stronger in advocating for myself and for others. Every time I speak up for myself or for others, I feel better about who I am. As the mom of a two year-old, self-care is hard. I need to be more intentional about my own self-care so that I can show up better for my daughter. 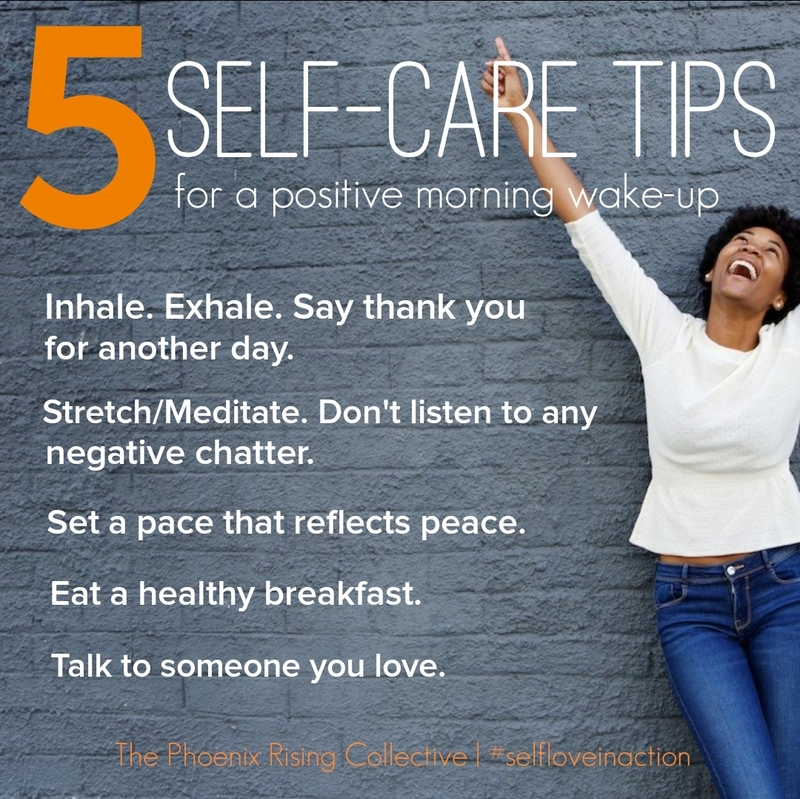 Actions that demonstrate the self-care I do provide for myself are napping and counseling. One of the best pieces of advice I received when I became a mom was “nap when she naps.” It sounds easy, but when you have a list of things to do and the option to take a nap, there can be guilt when you decide to sleep. For the sake of my self-care, I nap when my daughter naps. I am a better person, and I function better when I have had sleep. Counseling has been important especially over the past two years. In less than 1.5 years I had a lot of changes happen in my life: I got pregnant, had a baby, lost my mom, resigned from a job I loved so I could move back to my home town, and started a new job. With all of these changes, especially the death of my mother six weeks after the birth of my daughter, I needed someone to talk to. I didn’t realize it when I first started, but I was/am definitely battling depression. I know that mental health is something that is often not discussed in the black community, but consistently going to counseling has provided me with good self-care for my mind and my soul. There are two challenges I’ve overcome (and am still overcoming) that continue to lead me to a deeper love for who I am: coming out as a queer black woman and becoming a single queer mom. I love who I’ve become as a queer black woman. With the current political climate and the way folks seem to be coming out of the closet in terms of their racist and/or homophobic beliefs, it has been difficult. However, I continue to remind myself that their loud opinions do not define me, and that I am an amazing woman. In terms of becoming a single queer mom, it is the best decision I have ever made. I knew my biological clock was ticking, so I decided to get pregnant before I couldn’t. I know for sure that I was born to be a mom, and I love who I am as a mom. I am re-defining what some people may think of as a “traditional” mom, and now that I am in a good, loving relationship, we are re-defining what some people may think of as a “traditional” family. I love who I am and who the three of us are as a family. I love loving others. However, I have learned that the only way I can effectively love others is to start with loving myself. I have also learned that it is okay and necessary to be intentional about self-love. I have to schedule time to take care of me and know that it’s not selfish, but in fact, the best way for me to survive and thrive. Categories: Love Yourself First! 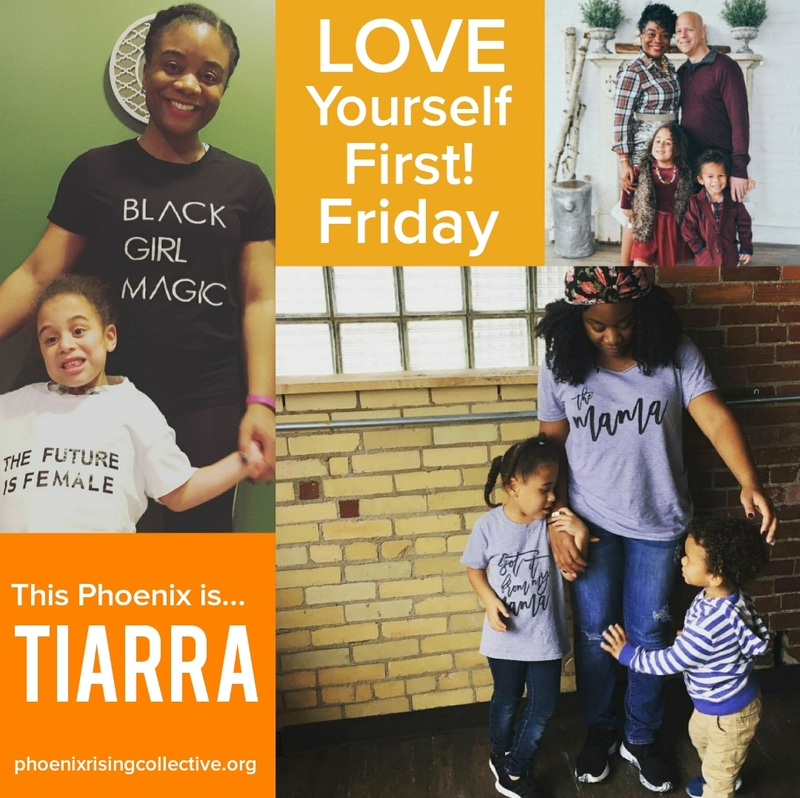 Friday | Tags: balancing motherhood, healthy well-being, mental health, queer black woman, self-care, self-care tips, self-love, women's wellness | Permalink. 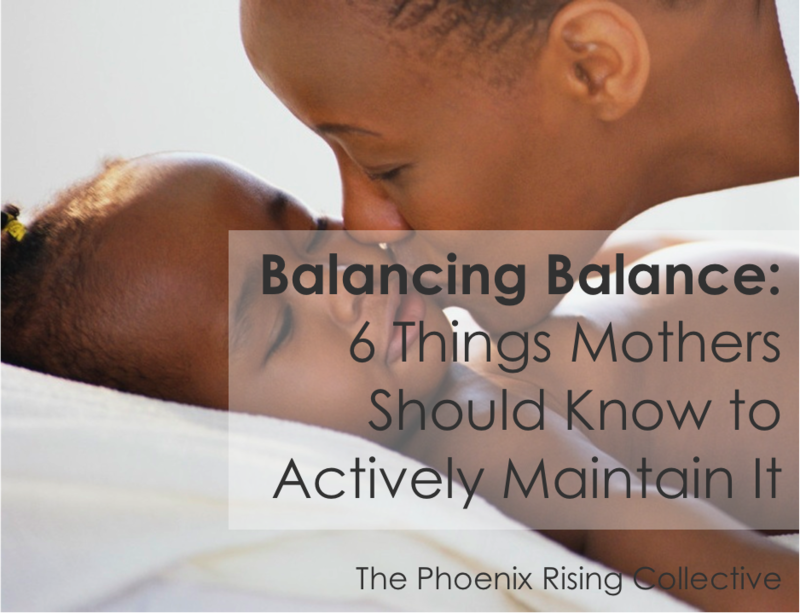 There appears to be A LOT of discussion around the notion of seeking balance, maintaining balance, mastering balance, balancing balance, and so on. Having convinced myself that I, too, need to somehow master this concept, it often feels quite lofty, unobtainable, and completely impossible for me at times – even after several cups of my Goddess Brew. At other moments I feel that I’m the closest to personal perfection, and I have transcended my limited human capacity to the realm of a supernatural fifth dimension being. Then reality strikes back like Star Wars: Revenge of the Sith, and I’m Anakin Skywalker being seduced by the dark and evil Force of imbalance – an absolute failure at living up to the greatest version of the grandest vision I hold for myself. After this mental, emotional, and spiritual war of the worlds has consumed me for a couple of weeks, I find myself starting over again, bringing me to my present “ah-ha” moment of clarity. Having entered a new year, with new goals, and new ideas, I’ve committed to one, I repeat, one approach that will assist me in accomplishing balance as I wish to fully and practically experience it. But, before I delve into that, let me say that I had to be fully honest with myself in recognizing that my thoughts and actions towards living a balanced lifestyle were and are in a constant state of flux (which is totally okay, by the way). I’ve come to realize this ebb and flow is inevitable because many days, weeks, and months, I’m in different and varying spaces emotionally, mentally, and sometimes spiritually. Why am all over the darn place, you may ask? I even ask myself that question. The answer is; because I am growing up and I am growing out. Yup, that’s it! I’m maturing, shape-shifting, metamorphosing, transforming, and awakening into the womyn (spelled this way intentionally) whose self-actualization process in mastering a balanced lifestyle is more complex than “taking the much needed ‘me-time’” I suggested in a previous article. Although taking the time for self is an extremely important component to any major lifestyle adjustment, striking a balance and envisioning precisely how that will look in our individual lives will change depending upon our deepest needs and desires. As we mature, and also come into full authentic beings, certain things simply no longer belong or reflect our trajectory. Case in point, at 22 years old I could pull an all-night study session, sleep three to four hours, and ace the exam the next day. At 32, I look like Ricky Raccoon with anything less than seven to eight hours of unbroken sleep. Or, every New Year’s Eve for the past several years I passionately looked forward to hanging with my best friends at the club dancing the night away. NYE 2014, I spent a relaxing evening with my mother watching The Butler on DVD and eating popcorn while my four year-old son played with his new train collection on the floor. The list goes on. For example, the morning meditation sessions I deeply needed six months ago were well suited for me during that time. Now I’ve found that an evening meditation with an accompanied journal reflection is more conducive to the place I’m in spiritually. Last, but definitely not least, yoga practices (ranging from Bikram to Vinyasa) were key exercises incorporated into my weekly routine throughout 2013, as I was yearning for inner strength and peace. However at the dawn of 2014, I’ve committed to the 30-day squat and plank challenge to push myself beyond my current physical capabilities. This is not to say I’ve reached nirvana and no longer have a use for yoga and its amazing benefits. This modification in my exercise regimen is an attempt to align my core inner and outer strengths. So, it’s only befitting that throughout the rest of this lifetime, I progress and surpass the “me” of yesteryear or yesterday whenever I’m moved to do so, according to my deepest needs and desires. Thus, a balanced lifestyle will look and feel different at each crossroad. Recognize and embrace the goodness in all things and everyone as God’s perfect creations. Take full ownership of my life being exactly how I choose it to be. Cultivate the courage to be vulnerable. Be creative and love without attachment and expectation. Relinquish fear and feelings of lack. Accept abundance in all areas of my life. Freedom, love, and prosperity are my themes for this year. I’ve placed strong intention on having my thoughts, behaviors, and daily manifestations in direct alignment with one another. My current state of balance during the week is 35/40/25. I dedicate 35% of my week to myself, 40% of my week to my family, and 25% to my current job. This could (and I’m sure WILL) look different in a few months. Redefine the idea of balance you’ve previously held for yourself. Dig deep to assess what a new balanced lifestyle will look and feel like as you ponder your true needs and desires in your current state. Think about what may have worked for you two weeks, two months, or two years ago that doesn’t fully resonate with where or what you’re working towards presently. Then set your intention on what you truly wish to see manifest each day – Yes, each day in your life! From this point, uncover what is necessary to rebuild and recreate the scales to fit your current lifestyle thus re-presenting a “new” you. Actively work towards maintaining your renewed state of balance and be willing to make the adjustments as often as needed. Please DO NOT harshly judge yourself in the process. Remember, where you are, is exactly where you need to BE! But, you can always choose to be somewhere else. Lastly, if you have some free time, check out some of my favorite authors/life coaches/Buddhist Monks/bestselling writers whose work covers subjects and topics related to content in this article; Neale D. Walsch, Brene Brown, Thich Naht Hahn, and Paulo Coehlo to name a few. 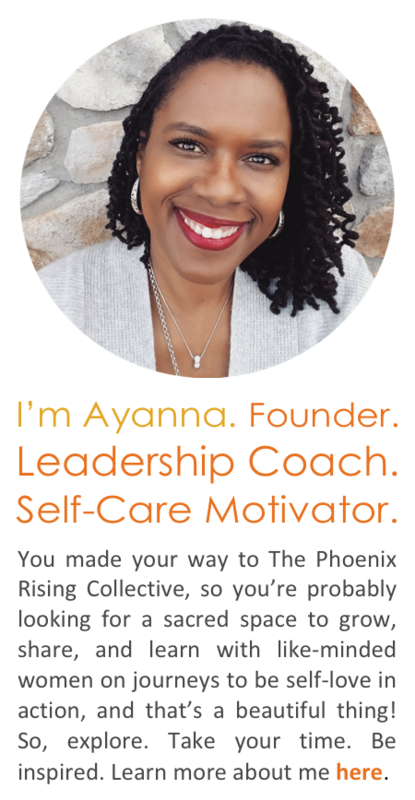 Categories: Self-Care + Personal Growth | Tags: balancing motherhood, black women and motherhood, Black women and wellness, holistic living, maintaining balance, mindfulness, motherhood and self-care, motherhood and self-esteem, self-care, whole living, women and wellness | Permalink.